Speaking of pullbacks, I have been talking about silver and gold forming a top. A couple months ago in November I saw the first warning sign of distribution selling in the precious metals sector. There was a large drop in price with heavy volume which is a warning sign that the BIG MONEY is starting to roll out of that crowded trade (precious metals). The thing with tops is that they take a long time to form and become very choppy. Since the November highs both silver and gold have more or less traded sideways. They never really went much higher and that’s because the big money is distributing their shares to smaller investors slowly overtime (retail buyers/average Joe’s). They try not to scare investors off so they sell their positions in chunks. What most people do now is that these sellers want higher highs to forming because once a new high has been created everyone become bullish again buying more on the breakout. It’s these waves of bullishness that the big money sells into which is why you see heavy volume after a new high has been formed. Let’s take a look at some charts…. The silver chart clearly shows the bull market (markup phase) and also the distribution phase taking place now…. If things go according to plan then choppy/lower prices should take place in the coming 1-4 months. Gold is doing the same thing as silver and I don’t think the selling is over yet. The past 12 months it seems like everything has been a dollar based play. 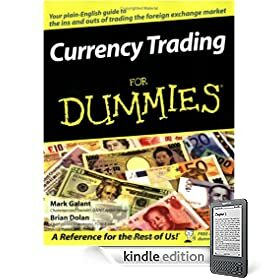 Meaning if you were to pull up a 1 minute chart of the dollar and a 1 minute chart of the SP500 or Gold, you would now that when the dollar moves up stocks and commodities go down and vise-versa. That being said the SP500 has started to move up with the dollar in the past month so there is a shift happening but it’s a slow change and is not much of a concern for gold right now. If the dollar starts another leg higher it will make for good timing as market sentiment is at an extreme and earning season is here. That typically means lower prices in stocks and commodities. In short, in the next 1-4 weeks I am bullish on the dollar, and bearish/neutral on stocks and commodities. The reason I’m neutral is because I don’t like to short things in a bull market phase as they can keep going up much longer than we think at times. Rather hold my strong positions and wait for a correction to buy/add once I feel the selling momentum has stopped later this year. I would not be surprised if we get a 4-10% drop in the next few weeks in both stocks and commodities, but until I see a clear roll in price I will not be looking for any trades to the down side. I’m not in a rush to pick a top/short the market but if we get a setup we will take a small position to play a falling market. Be sure to visit the link to today’s video which is posted in the gold chart section above. The condition of forex markets are not constant. They are equipped with better training on handling demands and stress compared to those people who solely rely on their experience and instincts. These are important common terminologies that should be learned by the traders before getting started. There are developed techniques on how to solve these problems which are also discussed. In addition to this, beginners also learn about trading psychology on how to deal with discipline, patience, stress, risk management, and commitment. If you are reading forex reviews, then you will learn that those traders who have gained success in forex trading business are those who have undergone forex trading training. You will not survive such a high-risk environment. It should always answer your needs and survival of the risks involved in forex trading. Forex trading training also tackles about market mechanics, forex trading software tools, reading forex charts, closing a trade, and knowing the best bidding time. In this manner, they are also oriented on making proper analysis and enhance their decision making in a more accurate way in times of selling or buying forex. The things that are learned in the forex trading training also involve the basics about order types, margins, bids, leveraging, and rollovers. Forex trading courses can be acquired through live seminars, books, subscription services, classrooms, or online trainings. Make sure to weigh everything before finally deciding to get the type of forex trading training that you want. Since charting is considered the basic of forex trading.However, these also have advantages and disadvantages. Beginners should first focus on charting because the most important factors in forex trading are being studied. It also reduces the risks of losses. If traders understands and read forex charts properly, then they would be able to identify market problems. It explains the common mistakes that were done before that should be avoided. Take note, these important features should become a part of the online class or real life forex trading training. It could change in a wink of an eye. Therefore undergoing forex trading training can prepare you on how to handle such fluctuations. Forex trading training also teaches forex market history. So, forex trading training can really give benefits to beginners. Forex trading training helps in molding the trader’s skills and sharpening it especially on forex market internal works, it teaches the beginners to make forex charts. It is not ideal to enter into forex trading without the proper knowledge. So, forex trading training is one of the most important aspects to be done. Forex trading training involves learning different forex trading terminologies, processes, and concepts. These are essentials that would help a beginner to immensely gain confidence in trading forex. Always keep in mind that forex market decisions are done in accordance to real time which are usually within a matter of seconds. This will significantly increase your chances to achieve greater success. These are the best characteristics that beginners should acquire because the forex trader’s future depends on their ability to take charge of forex market order flows. Forex trading training helps especially the beginners in tracking the reasons why market shifts happens. It will be a very big mistake if you just jump-in to forex trading without proper orientation. It teaches the traders to use their head when doing the trade instead of their heart. You might disagree but hear me out on this, majority of the people in western world are deficient in essential omega3 fatty acids. Since, omega3 fats are not produced internally by our body but are very vital for our overall health and development. It becomes very important for us to eat high quality food sources omega 3 fats. Let us find out the various food sources of omega 3 fats that you can take to compensate the deficiency. Flaxseed oil: It contains only ALA type of omega-3 fats and not DHA and EPA fats (more readily absorbed fats by our body). Our body can convert ALA to EPA and DHA; but this conversion process is very complex and is not efficient. Studies says only 5% of ALA can be converted to other two fats which our body needs the most. This means we have to eat tons of flaxseeds to overcome the deficiency. Meat: Grass fed cattle or lamb contains high DHA and EPA fats. But since these days, cattle are not grazed on their natural diets instead are fed with grain to fatten up them quickly; beef thus generated does not have higher levels of DHA and EPA. Fish: It is the number one natural food source with omega 3 fats. Cold water fishes like Salmon, Tuna and Mackerel are a rich source of these essential fats. But because of increasing water pollution in ocean waters, toxins levels found in the fishes is very high. And who wants to compensate the deficiency at the cost of various health hazards like mercury poisoning, etc. Farm fed fishes are also not effective because they are not fed on their natural diet. Fish oil: It is extracted from healthy and oily fishes. It also under goes various refining processes to remove out the toxins from the oil. It is considered as the best food source of omega 3 fats because with its consumption we get high DHA and EPA levels and that too without any worries of chemicals and contaminations like mercury, lead, arsenic, PCBs, etc. 1. It ensures that you are taking omega 3 fats regularly and in optimal quantity. 2. It ensures that you do not accumulate harmful chemical and toxins via fish. 3. It is cheap i.e. its available at a reasonable price. 4. It is simple, easy to consume and does not require any preparation time. So, now that you know food sources omega 3 fats, it is time for you to start looking the best omega 3 food source for you to maintain good health. I personally am taking an effective fish oil supplement that under goes molecular distillation process to ensure that all harmful toxins are eliminated and end product is of high quality pharmaceutical grade. To learn more on high DHA and natural fish oil supplement, visit my website. » Is Flax Seed Oil Worth Using? Currency trading also known as “Forex trading” refers to exchange of one currency for other. Forex trading is always suited for beginners as there is less major currency to trade as compared to trading in stock screener where you have to trade between tens of thousands of Stock Screener. The Forex trading always goes in pair where if you purchase n number of one currency then you have to convert it into other currency where you think you will land up making profit. Various factors may be involved making the rate of currency goes up and down, so always make a profitable step while converting your currency. In Forex trading which is easier to learn and adapt to can make you earn huge sum of money. Now with the technological changes the trading in currency has also changed as now trading can be monitored by software named Forex software that will monitor your trading 24-7. Forex software is a program that can monitor your trading whole day and with the help of this great software you will not miss out any lucrative opportunity to win and can even help your losses to minimize. So this software serves both the process of increasing your profits and reducing the losses. Hence it can give a support for making your dream to earn more come true. However various factors become decisive while purchasing software as it may be able to meet your requirements. Various things are to be noted while purchasing Forex software. It should always be kept in mind that the software you purchase should be operational complete day and should not stop operating or monitoring your trading process even for a second. If the software is operational all time then it becomes easier to grab the best opportunity to earn and it will also reduce your chances of loosing money. Apart from having your software working all time it should be always noted that the software comes at affordable prize as it should not be expensive to become unaffordable. As well thinking about this clause that the software should be affordable then it must not compromise with quality. It is not worth a compromise of purchasing cheap software with fewer facilities. There are also several options available that makes it a choice with the user to purchase or not after using the product for some days. If you feel that the software is not convincing or worth the price then you can deactivate the service and chose for other products available. While purchasing software remember to clarify with the dealer that the software is up to date in all respect and is the latest version on software. Latest version enables you to achieve the best output from the product and helps you become tension free in the trading. New version of the software are required as some case of shortcomings are found in the previous versions and the new version always overcome the shortcoming in the previous versions, thus providing the best. Hence using Forex software to help you trade in currency is necessary and can lead you earning to the maximum you can. revious versions, offering the best. Thus, the use of software Forex, to assist you in currency trading is unnecessary and may lead to the most you can get. My friend had a big wart right at the middle of his nose. He had that wart since his birth, and its size went on increasing continuously as he grew old. Needless to say, he had to face lot of problems because of that wart, which were mostly psychological. His classmates would make fun of him, and he occasionally had fights with them on this issue. Slowly he became more and more conscious of that wart and there was a phase in his life, when he went into depression. That was the time when his family decided to seriously think about that warts treatment, which was making life hell for my friend. They consulted some doctors, all of whom recommended surgical removal of the wart. The cost of treatment however was quite how, and my friend belonged to lower middle class, and was kind of reluctant to spend on surgery. He was also afraid of the fact that all surgeries are painful, and wanted to avoid it. While all this was going one, I went to visit my grand parents during my vacations. My grandfather loved to narrate old mythological stories about angles and demons to me. Although I was not a kid anymore, but I still loved to hear stories from him. While narrating a story, he mentioned about a demon who had big warts all over his body, which reminded me of my friend, and I told him that even my friend had one big ugly wart on his nose! After I explained the complete situation to my grandpa, he advised me to ask my friend to try a home remedy for getting rid of wart. He told me that if we gently tie a horse’s hair on the wart, the warts automatically gets chopped off in a few days. Horse’s hair should be long enough so that we don’t have to try too hard to tie knots on the wart. The complete procedure should be done with delicacy. Horse’s hair should be gently tied on the wart by making two or three knots. The knots should not be made too tight. After tiding the knots, keep it like that for some days, and the wart will be slowly chopped off because of the sharpness of the horse’s hair. My friend tried this method with success. It did not caused him any pain, but the only downside of this method was the leftover mark of the wart, which is still visible on his nose. But overall he is happy cause at the end of the day, he got rid of the wart for free, and that too, without undergoing any surgery, which is generally painful. He uses skin colored cream, which covers up for the leftover mark of that wart up to a great extent. I think this is a good method for someone who wants free home remedy for warts. It’s particularly beneficial for warts that are not directly visible on the body, like those which are at the under clothed part of the body.